Since Atlas first opened its doors in March, it has been the subject of many an article and Instagram post. The hype still is extremely real, and we were told that it’s near-impossible to do walk-ins on a Friday night. Reservations ought to be made a month in advance to guarantee you a table. This is a level of exclusivity not many bars in Singapore can claim to have, so our interests were doubly piqued. The thing about a bar with as much coverage as Atlas is the slight fear that it would disappoint once we saw it for ourselves. Thankfully, it didn’t. Upon first sight, we whipped out our phones and snapped photos the way any awed Singaporean would do, while cooing at the magnificent interior. The bar, and the three-storey gold gin refrigerator was a marvel to behold. Here’s how the rest of our experience at Atlas went. Buzzwords like “The Great Gatsby”, “Jazz Age”, “Art Deco” and the like have been all too liberally tossed around with new F&B concepts of late. Look, we’re guilty of it too, but there truly is little other way to do justice to the concept behind Atlas and its décor than to dish out those familiar phrases. 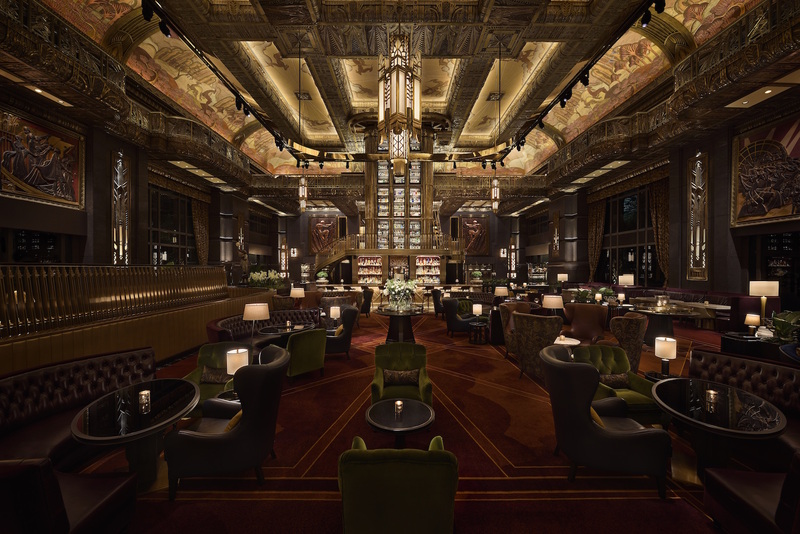 The Art Deco-styled interior is gilded gold, lush velvet and deep copper — all the hallmarks of the decadent era. Naturally, the three-storey gin display is the centrepiece of Atlas. It’s visually enticing, yes, but it is what the display holds that form the real gems. 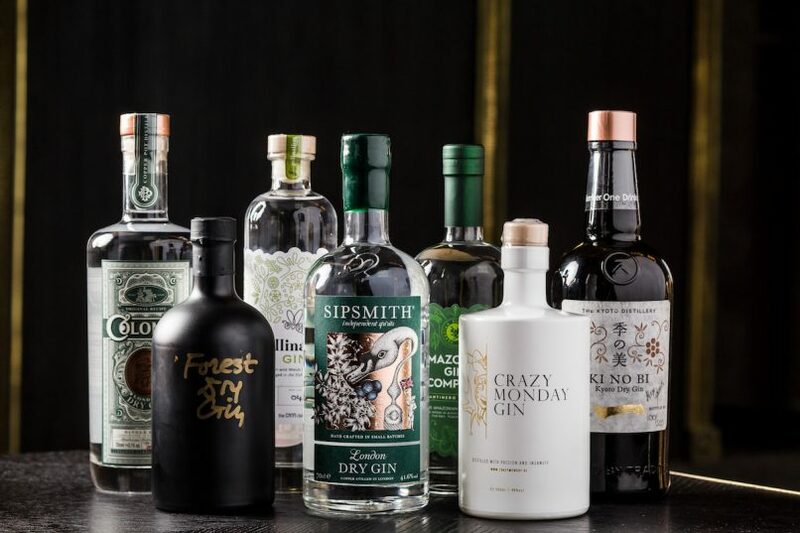 There are over 1,011 gins in Atlas’ collection, earning the bar the accolade of having the world’s largest gin collection. Anything from 1910 London dry gins, to expressions from Slovakia and Japan call port within the towering collection. Highlights from Atlas’ gin collection. Though Atlas fronts itself as a gin bar, it’s also got a lengthy champagne selection and a dedicated Champagne Room. There are also some extremely rare bottles offered for tasting, some of which come from the private cellar of the family who own Parkview Square, the Hwangs. These are some bottles of 1907 Charles Heidsieck and Co. champagne, salvaged from the sunken Swedish freighter, Jönköping. 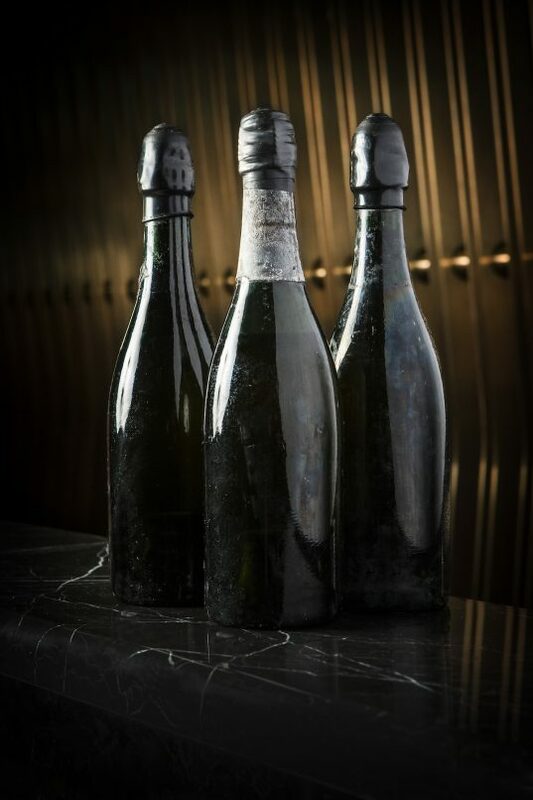 The bottles have spent 75 years under the sea, and they belong to the private collection of George Hwang. The drinks menu is pretty extensive, with most drinks being gin-based (obviously). We gave the house signatures a try, namely the Atlas Martini, the SS Normandie, the Gin Tonica, as well as the standard gin and tonic. We were warned that the Atlas Martini would be strong, but it really does pack a punch. 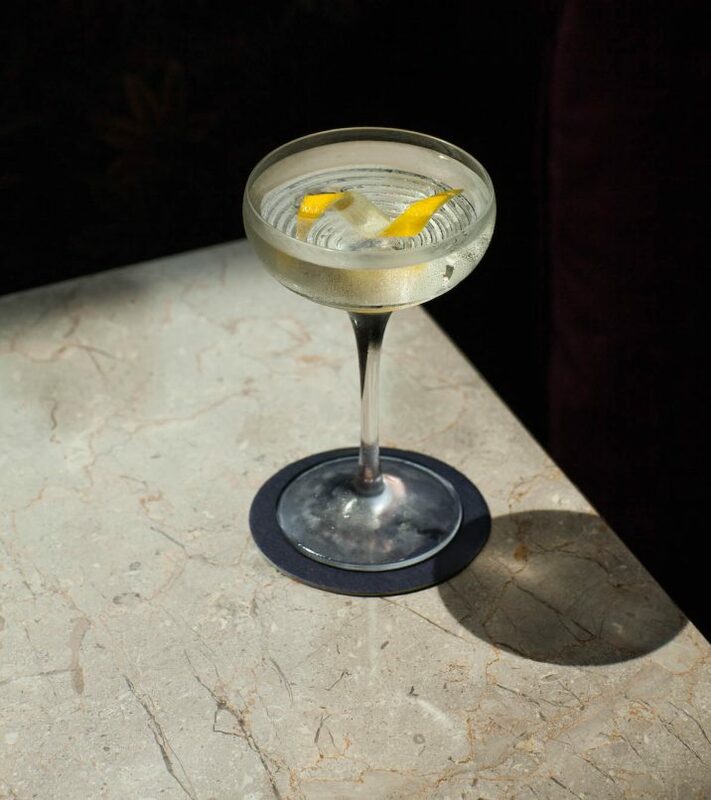 Made with London dry gin, ambrato vermouth, orange bitters and champagne vinegar, the martini is a faintly citrusy, fragrant and balanced martini. It might be strong, but it’s not unpleasant. The SS Normandie is a fine calvados and peach liqueur cocktail that lovers of sweeter mixes ought to try. Vintage martinis are available on request, made with aged gin and served in vintage glassware. Each one will cost you about S$200, though. Their Gin Tonica is an updated gin and tonic, made with modern American gin, edible flowers, juniper berries, and grapefruit tonic water. It’s a mellow, slightly bitter take on the gin and tonic, where the grapefruit notes stand pronounced. As for the classic G&T, Atlas mixes London dry gin with its house-brand tonic water. We found the cocktails to be adequately balanced and easy to drink, overall. Champagne is also available by the glass, with labels such as Louis Roederer, Bruno Paillard and Krüg on the list. If you want to sample some of the rarer bottles, do ask for the Atlas collections menu. Atlas’ menu is as much a feast for the eyes as it is your stomach. Its food selection is separated simply into appetisers, small plates, mains and desserts, with chef Daniele Sperindio of the Tippling Club Group helming the kitchen. Some highlights included the charred octopus starter, which comes with generous chunks of goat cheese, toasted pine nuts and tossed greens atop a slice of bread. The octopus was tender, and beautifully charred. 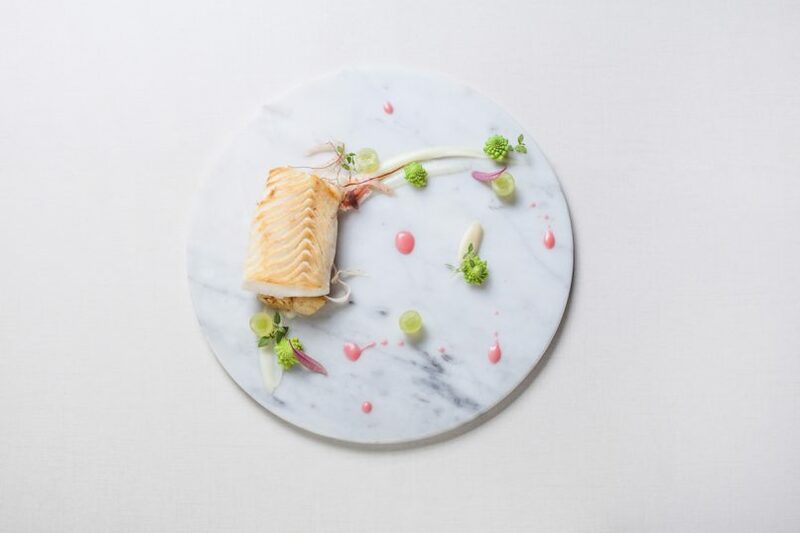 Atlas’ mains are a gorgeous sight too, with each dish delicately plated and vibrant. There’s no way to eat the canvas of pasta with Japanese wagyu beef elegantly, but that just adds to the pleasure. A giant sheet of pasta folds over rich, meaty beef ragout, and melt-in-your-mouth slices of wagyu just add to the richness. Also give the Gindara black cod dish a shot. Marinated in miso, the fresh, juicy cod is served with glazed chervil roots, cauliflower puree, and the most interesting bubblegum pink sauce. The Gindara black cod dish. Save space for dessert, and get the crêpes mille-feuille with strawberries two ways and a milk crisp. 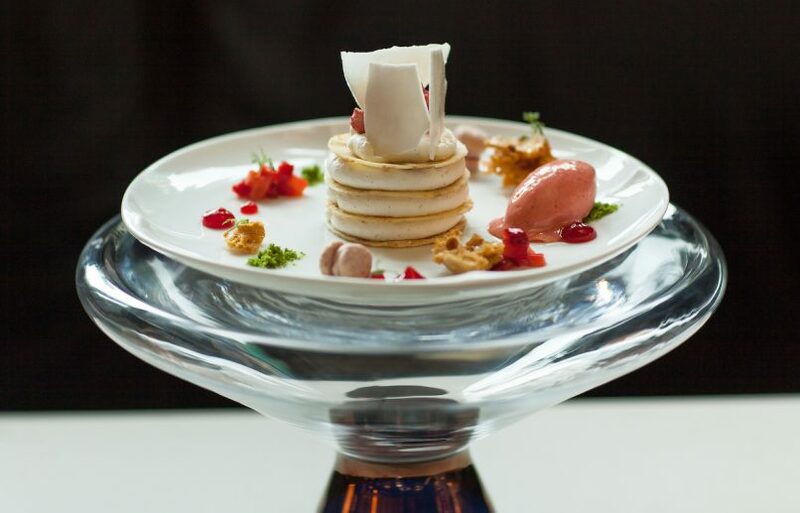 Thin crepe pieces are layered with cream that houses potently sour strawberry pop rocks. It’s a face-puckering kind of sour that harkens back to childhood. Temper it with a mouthful of the strawberry sorbet and dots of jam served on the side. Atlas also has a breakfast menu, so feel free to pop by in the wee hours if your office is nearby. It’s even got champagne in place of coffee, if you so desire. Just don’t tell your boss. Stepping into Atlas is an experience. The impeccable décor and service all add to the feeling that you’ve stepped onto a movie set, or somewhere far removed from Singapore. It exudes luxury and pedigree, making it the perfect place to bring someone you want to impress, for a special occasion. Would it be the place you’d find yourself knocking back G&Ts and indulging in raucous laughter after a tiring week? 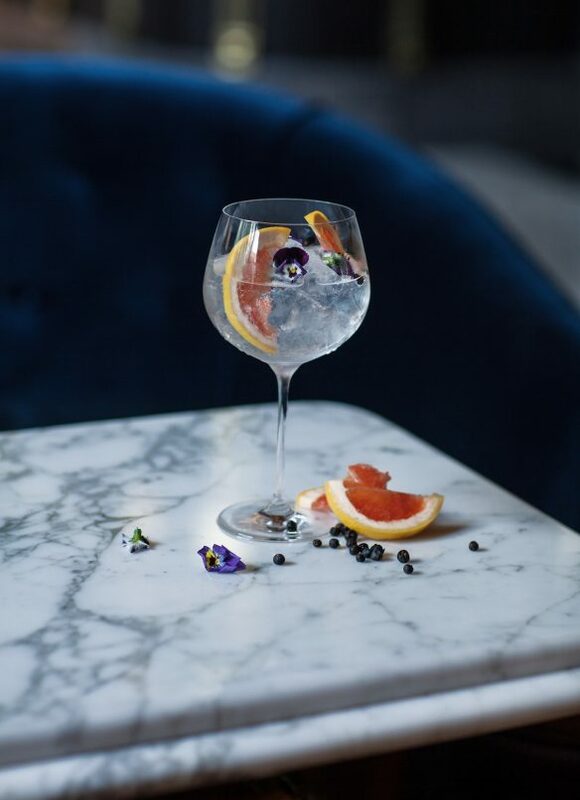 Perhaps not, unless your idea of a chill night out is hosting yourself a gin tasting, but there’s something undeniably alluring about its absolute elegance. Atlas, Parkview Square, 600 North Bridge Road, Singapore 188778, +65 6396 4466. Closed on Sundays.